Speaking to Notre Dame students in 1991, Warren Buffett warned about Donald Trump’s excessive use of leverage. Warren Buffett: I might consider taking money out of banks if they charge for deposits. Lacy O’ Toole | CNBC. Warren Buffett spoke about Donald Trump twenty-five years ago. In the spring of 1991, Warren Buffett, the legendary investor and founder of Berkshire Hathaway, gave three lectures at Notre Dame to MBA and undergraduate students where the topic of Donald Trump came up. During those speeches, which you can find on TilsonFunds.com, an audience member asked Buffett where the real-estate developer went wrong at that time in his career. Buffett blamed Trump’s use of leverage, or borrowed money. “He simply got infatuated with how much money he could borrow, and he did not give enough thought to how much money he could pay back,” Buffett said. In 1991, The Trump Taj Mahal, an Atlantic City casino that opened the year prior, filed for Chapter 11 bankruptcy protection. A year later, The Trump Plaza Hotel would also file for bankruptcy protection. “It’s interesting why smart people go astray. That’s one of the most interesting things in business. I’ve seen all sorts of people with terrific IQs that end up flopping in Wall Street or business because they beat themselves. They have 500 horsepower engines, and get 50 horsepower out of them. Or, worse than that, they have their foot on the brake and the accelerator at the same time. 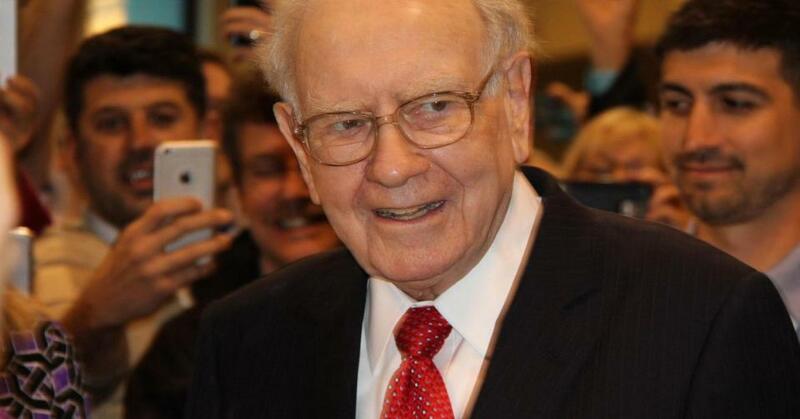 They really manage to screw themselves up,” Buffett told the students. Buffett then gave the room a hypothetical scenario where they had to think about the person in the room (with the exception of him) that they would choose to invest in for 10% of their earnings power forever. The qualities one should look for should go beyond IQ. Where did Donald Trump go wrong? “It’s interesting why smart people go astray. That’s one of the most interesting things in business. I’ve seen all sorts of people with terrific IQs that end up flopping in Wall Street or business because they beat themselves. They have 500 horsepower engines, and get 50 horsepower out of them. Or, worse than that, they have their foot on the brake and the accelerator at the same time. They really manage to screw themselves up. “I tried this with the last class. Let’s say each one of you could buy 10% of the earnings, forever, of anybody else in this room, except me. Let’s charge $50,000. And that means that if somebody gets out of here and earns $30,000 you get a $3,000 royalty off them. But, if they do extremely well, and become President of Coca Cola like Don Keough did, you’ll make a fortune. “How are you going to think, in terms of the rest of the people here, of which one you want to buy the 10% of? Let’s say we had Donald Trump here, and my friend Tom Murphy, who runs ABC, or Don Keough, and you’re really betting on the lifetime of each of them, and let’s say they’re all in equally good health. Would you give them an IQ test? Well, you’d want to be certain they have a certain amount of IQ. Would you want to measure how strongly motivated they were, how much they wanted to get rich? Donald Trump wanted to get rich. That might not be a great qualifier. What would you do to select that one person out of this whole crowd here, because there will be a huge difference in results here. There’s not a huge difference in IQ. But there will be a huge difference in results. I would venture to say, I don’t know how well this group knows each other, you come from two different schools, so I’d break it down into two groups, I would venture to say that your guesses would not be bad. They’d be better if you’d had more experience with the group, and if you’ve had more experience generally, but they will be way better than flipping coins. You would probably relate it to a lot of qualities, some of which would be straight from Ben Franklin – I would suggest that the big successes I’ve met had a fair amount of Ben Franklin in them. And Donald Trump did not. “One of the things you will find, which is interesting and people don’t think of it enough, with most businesses and with most individuals, life tends to snap you at your weakest link. So it isn’t the strongest link you’re looking for among the individuals in the room. It isn’t even the average strength of the chain. It’s the weakest link that causes the problem. “It may be alcohol, it may be gambling, it may be a lot of things, it may be nothing, which is terrific. But it is a real weakest link problem. “When I look at our managers, I’m not trying to look at the guy who wakes up at night and says ‘E = MC 2’ or something. I am looking for people that function very, very well. And that means not having any weak links. The two biggest weak links in my experience: I’ve seen more people fail because of liquor and leverage – leverage being borrowed money. Donald Trump failed because of leverage. He simply got infatuated with how much money he could borrow, and he did not give enough thought to how much money he could pay back. Speaking at Berkshire’s annual meeting in April, Buffett—a Democrat and supporter of Hillary Clinton—didn’t seem worried about the possibility of Trump winning the election. “If either Donald Trump or Hillary Clinton becomes president, and one of them is very likely to be, I think Berkshire will continue to do fine,” Buffett said.